Does any one know of a 12v key on power source near the battery or in the trunk in general. Its for my exhaust valve vacuum pump, had it hooked right up to the battery before, kinda sick of it killing the battery after a week of not driving it. Do you have the Auxillary battery set up? I ask because there is a pink and blue wire if I remember correctly but it is small amps. 10 amp fuse on the entire circuit. If your valve draws any serious amps may want to use a relay straight from the battery controlled by the pink and blue wire which is on with ignition on. I've used the pink & blue wire in the trunk before to directly run a Whelen "airhorn amplifier", it works fine if your device is 10 amps or under. Just don't exceed the current limit. no auxillary battery anymore..... I dont think this should pull much amperage its only a small vacuum pump. Looks like Ill have to bust out my multi meter and figure it out the old fashioned way. Actually thinking about it you may have that connector there even without the aux battery option. Not sure though. 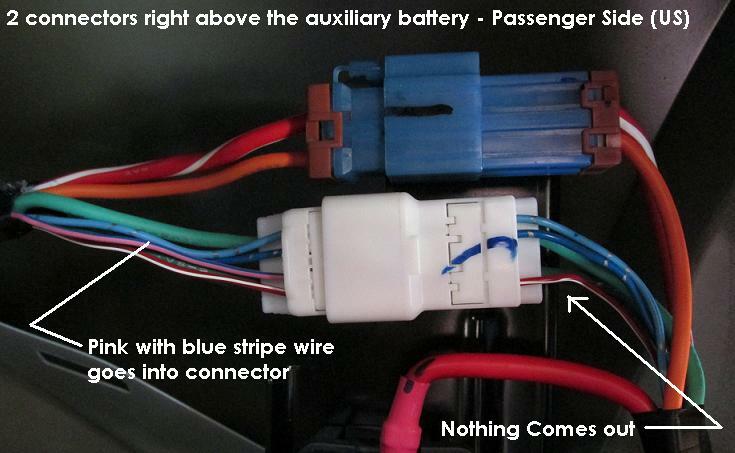 do you have the upfitter harness still under you console? regardless, the wiring should still be back there somewhere.